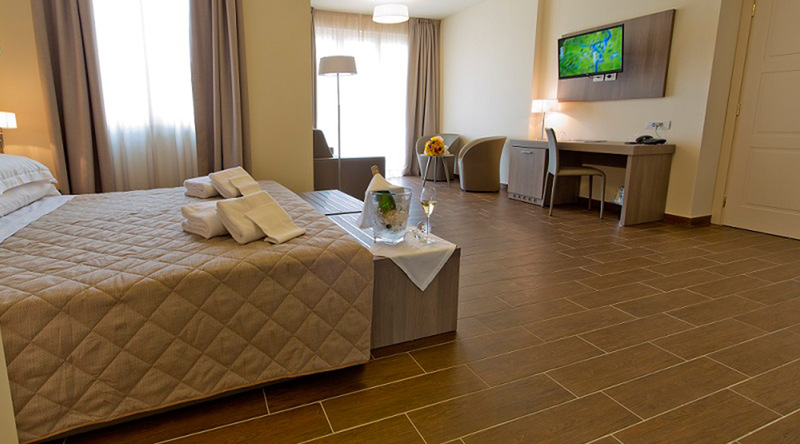 With the characteristics of a typical ancient Piedmont hamlet, the Resort offers 39 comfortable rooms, all with air conditioning, WI-FI connection and splendid views of the green or surrounding hills. The local area also offers a wide range of opportunities for excursions and outings, ranging from the tasting of typical products directly at cellars or artisan workshops, to guided visits to the region's most beautiful tourist sites, including the ancient Roman remains of Libarna, the Medieval fortress in Gavi, the castles of Trisobbio, Roccagrimalda, Tagliolo, and the historic centre of the spa town Acqui Terme. The list continues: mountain bike excursions, hacking, trekking in the Borbera and Spinti valleys, lakeside breaks and snacks, or golf course picnics. Rooms are approximately 20 sqm. Comfortable and luminous, almost all economy rooms offer a comfortable balcony.